Around 10% of people in the world are left-handed, and scientists are still unsure why more people prefer to use their right hand. There are countless cultural myths about lefties, from dying younger than right-handed people to being at higher risk of developing psychotic illnesses. Perhaps the most popular of all these myths is the one that left-handed people are more creative. Many famous creatives are lefties, from Michelangelo and Da Vinci to more modern figures like Kurt Cobain and Paul McCartney. So where does this idea come from – and is there any truth to it? 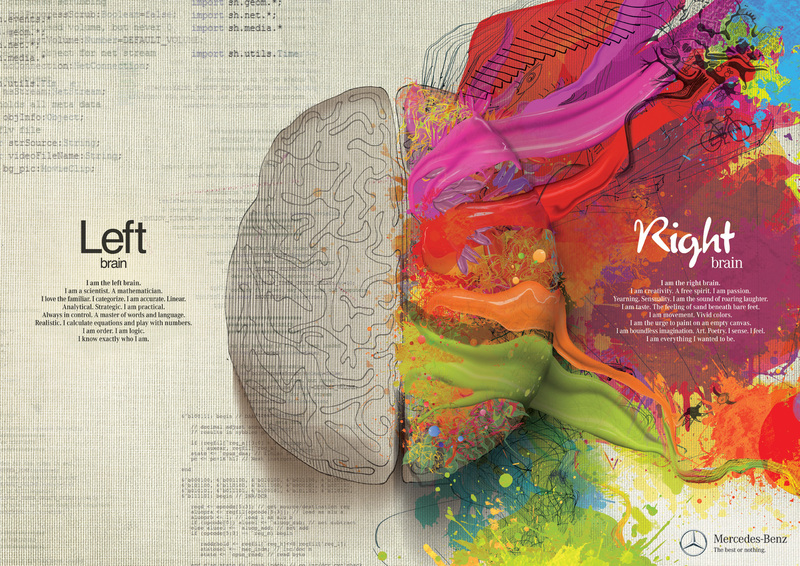 The idea that lefties are more creative comes from the “left brain, right brain” theory, which originated from Robert Sperry’s Nobel Prize-winning research into the effects of epilepsy in 1981. He concluded from his studies that the left hemisphere of the brain is responsible for language function. Since then, there have been many claims about how certain abilities are more dominant in one side of the brain. Functions associated with the right hemisphere include music, creativity and intuition, whereas the left hemisphere is said to control skills like language, logic and analytical thinking. However, studies have proven that the relationship between the two hemispheres is much more complex than that, and no one is entirely left-brained or right-brained. For example, 95% of righties have left hemisphere dominance for language, but only 18.8% of lefties have right hemisphere dominance for language. This means that many functions can be bilateral, regardless of handedness. In short, there’s no convincing scientific evidence to back up the claims that keep cropping up in pop psychology. Anyone can learn how to be more creative with the right tips, hard work and discipline, no matter which hand they prefer to use.